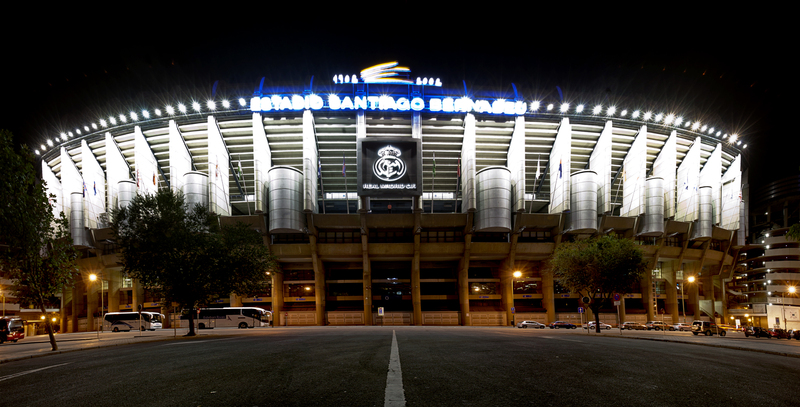 Santiago Bernabéu Stadium and the Club’s sports entertainment vision together with the state-of-the-art Connected Sports Solutions provide soccer fans a completely innovative experience. It is fast, scalable, and a secure wireless network that can be customized for high density environments. 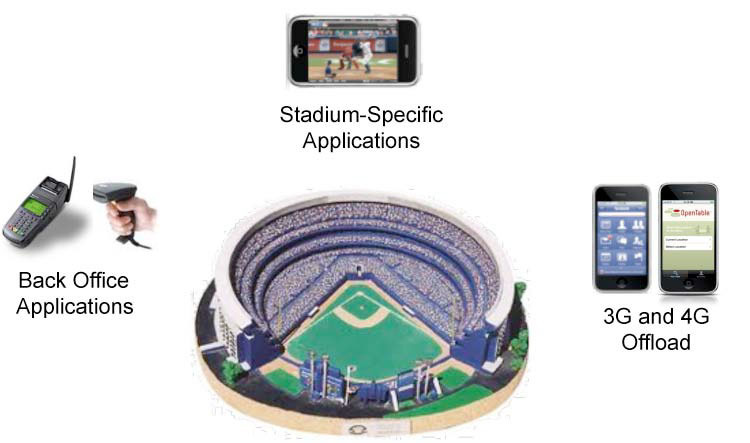 Seamless connectivity in their sports venue is the goal while providing new levels of fan engagement. Real fans can now check fantasy scores, live FIFA game stats and custom Apps. The Stadium team is able to instantly modify digital game day content at the flick of a button. RM Sponsors enjoy advertising opportunities based on specific fan behavior and personalization. I had a 30-minute briefing with Cisco’s Stuart Hamilton, Senior Manager, Sports & Entertainment. After looking over Stuart’s Linkedin profile, it was clear to see that he has been around some awesome sports tech moments. Stuart was on the Cisco team for the opening of the Meadowlands and N.Y. Yankees Stadium, Dallas Cowboys Stadium, and LiveStrong Park in Kansas City. So what is this deal all about? Connectivity is the core issue for the 450 million Real fans, as are the 5 billion mobile devices by 2015 for Cisco. Sports Techie, the days when you went to a packed venue and could not connect to your mobile devices are over. With Cisco technology, Real fans can make a simple phone call, share a funny tweet, post on your facebook timeline, text a photo, or upload a heavy bandwidth video, thanks to the router network Cisco will install at Bernabéu Stadium. The Cisco high density wireless LAN Solution is going to be a culture changer for Real Madrid fans. According to Stuart, Cisco has shared how smart phone user adoption rates are continuing to climb despite their economic costs. 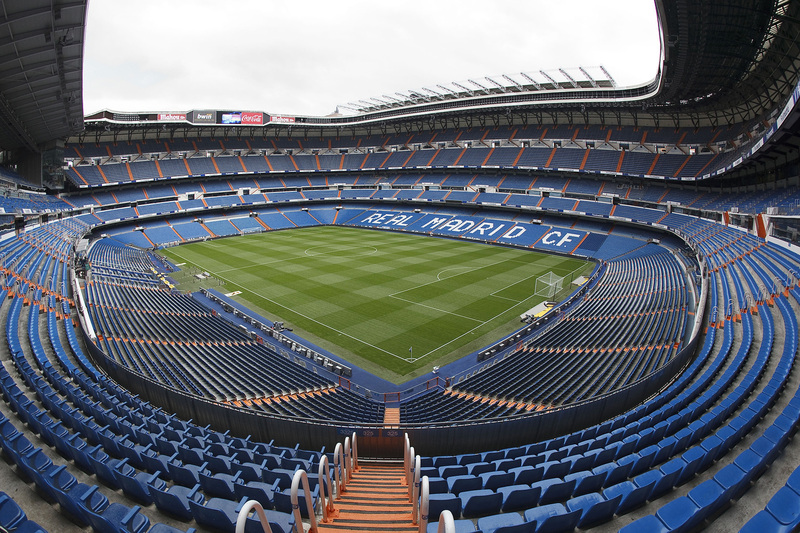 Because mobile devices are more simple to use than every before, Real Madrid and Cisco believe that whether it is an old school Real fan, or a newbie, and everyone in between, their new investment in technology spans across all futbol generations. HD screens are to be strategically placed all over Bernabéu Stadium. Fans can watch real-time game action on the screens as they go visit on a concourse, purchase some concessions, or use the bathroom. Suites will have HD, 3D, and interactive capabilities to buy food or merchandise. Developers can now create Stadium-specific Apps for fans knowing that there will be a secure and safe Cloud connection. I asked about 3-D and Augment Reality and if the future might be with Apps using these kinds of technology? Stuart emphasized that Apps have become “part of what we do at games” but not 3D yet. Sporting K.C. has had tremendous adoption of a trivia game played during MLS games. Check-in apps are also popular. The obvious question to ask was about Localization capabilities and the Spanish language. Stuart commended me on this question and said that a brand new Cisco 2.4 release had language pacts that are used for this exact issue. Stuart labeled this, “Internalization.” It turns out that Cisco spent 8-9 months understanding the Native language requirements. The Cisco rollout with Real Madrid at Bernabéu Stadium will happen over the next couple of months. If you want to dive deeper into what Cisco has going on with Sports, click on this link and learn more. http://www.cisco.com/web/strategy/sports/index.html. The three Cisco Sports web site videos are excellent. LiveStrong Sporting Park Offers a Reliable Mobile Experience. Better Business, Happier Fans – Ireland’s Croke Park is using the Cisco Connected Stadium. And, Creating New Experiences at New Meadowlands Stadium. New York Giants and Jets fans have 2,000 IP enabled HD screens that can be changed in an instant for fans and Sponsors delight. 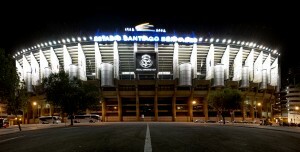 Sports Techie is excited for a new Cisco and Bernabéu Stadium collaboration video in the near future. 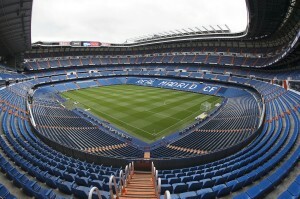 I want to travel soon to Santiago Bernabéu Stadium and soak in the ambiance of a sold out Real Madrid football match while being connected to my iPhone so I can share the wonderful experience using real time Social Media Apps to all of Sports Techie, thanks to Cisco Connected Stadium Solutions. Thank you to Text 100 at Text 100 for arranging the Sports Techie RM blog interview with Cisco and Stuart. 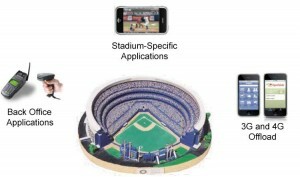 Cisco is working on a cool stuff, connected stadiums is really a great stuff. I save lot of money on concessions and discounts plus i get the flexibility to browse my email and other stuffs from the internet. I can share photos to my facebook account immediately when the match is live. Many great things this will do.